Preheat oven to 350° F. Butter a 13 x 19 inch baking pan. Cut kernels from cobs to make about 4 cups; set aside 1 cup. In a large food processor container combine 3 cups of the corn kernels, eggs, cream, sugar, butter, flour, mascarpone, baking powder and salt. Whirl until smooth. Stir in remaining 1 cup corn kernels. 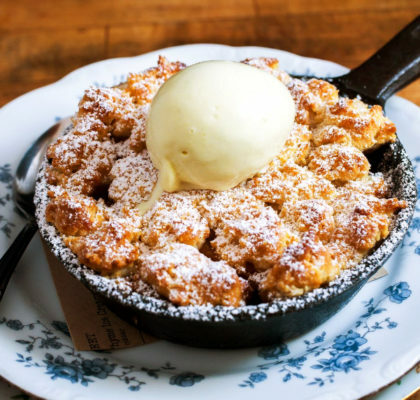 Pour into a buttered baking dish. Bake until top turns golden brown, 45-50 minutes. Let stand 15 minutes. Serve warm, topped with Macerated Strawberries. *Slice 1 pound of strawberries and place in a bowl. Sprinkle with 2 tablespoons sugar; cover and set aside foor 30 minutes. Refrigerate up to 1 day. 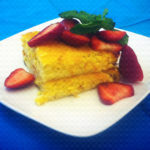 Sweet corn pudding is a great recipe either for a main dish or even a desert! Sweet corn from the “Sunshine State,” Florida, is popular for a very good reason. 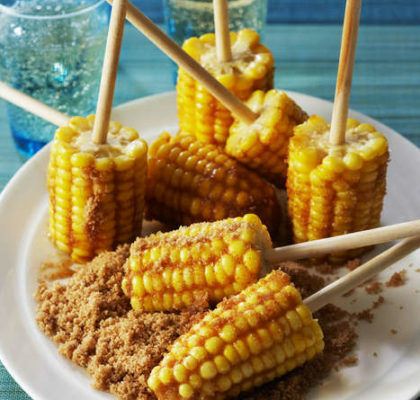 Our recipe suggests using 6 ears of sweet corn, although you can easily adjust the serving size. Sweet corn pudding can be made to be sweeter or saltier. Our recipe calls for 1 cup of heavy cream, 1/4 cup of sugar, and strawberries on top for sweetness. This is a delicious and popular kind of way to make sweet corn pudding, but you can alter the recipe as you desire, putting in less sugar or more salt for example. Some people like to give corn pudding a different flair, such as whipping it up Mexican style or making a casserole for parties. Always make sure that the sweet corn you use is fresh – it is the backbone of the recipe after all! Sweet corn is harvested earlier than normal corn and does not store as well. 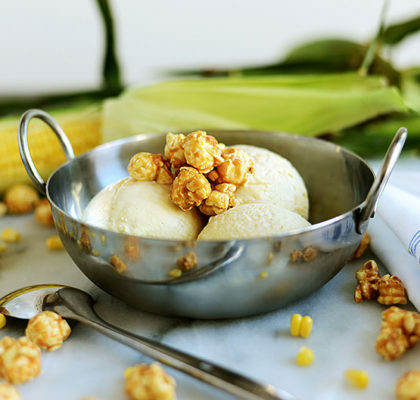 The freshest sweet corn can be found at farmer’s markets, although you can use canned or frozen sweet corn as well. As in our recipe, strawberries make a good topping for sweet corn pudding, although you may want to eat it without strawberries or experiment with other kinds of fruit or other toppings. Sprinkling sugar over the strawberries and refrigerating them can greatly add to the flavor. Many people prefer sweet corn pudding to be served hot, but it is good either hot or cold and is good served either by itself or as part of a meal.